On a busy corner of Croydon Rd is Shisha Bar an Industrial inspired cafe. The corner location mixed with a full crowd can make the Shisha Bar a noisy place. Staff was helpful and obliging, making the Shisha Bar a welcoming place. Serving an eclectic menu, with inspiration from the Middle East, America and Modern Australian cuisine. Sumac calamari is delicious. Sumac is popular in Middle Eastern adding a little tang to the light and crisp calamari. 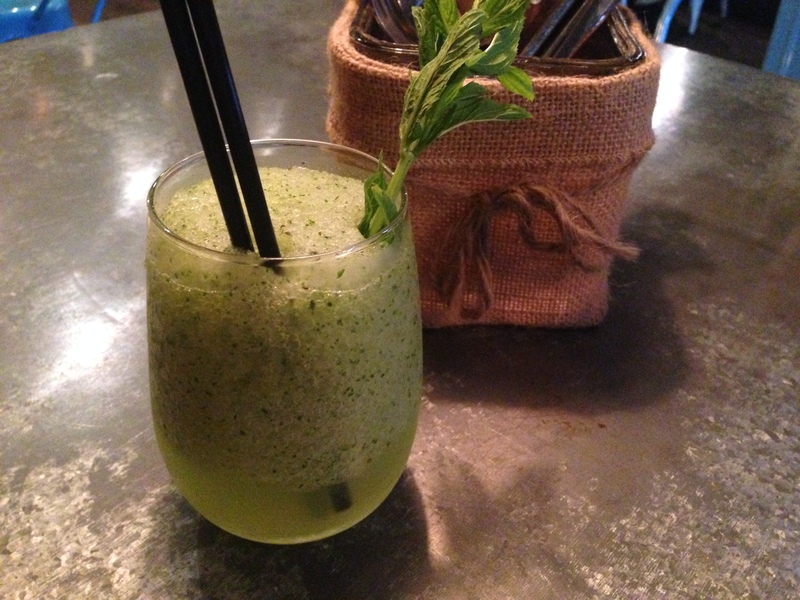 The ‘frisky mint lemonada’ is a mint based mocktail that is light and refreshing loaded with mint. 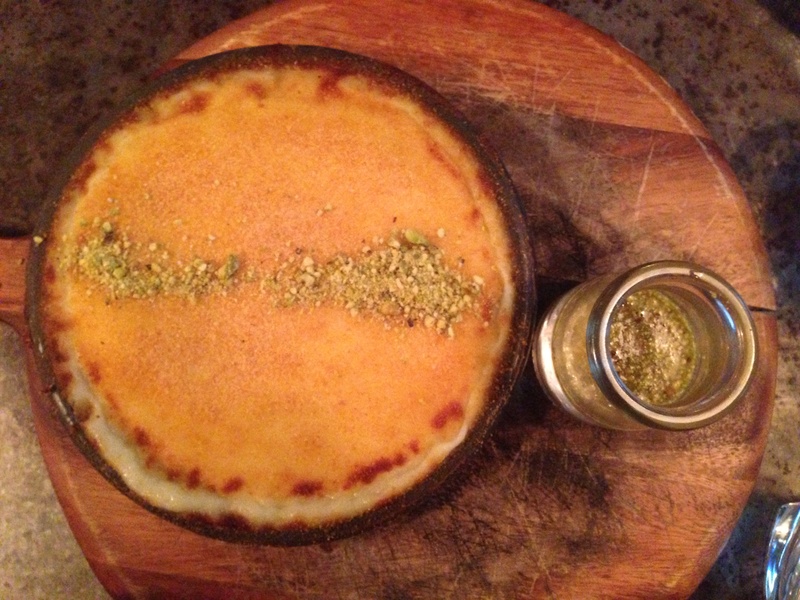 Shisha bar serves a fabulous Knafeh. A warm, baked cheese dessert soaked in sugar syrup, sprinkled with some pistachios which are a great crunch to this smooth and creamy dessert. The Knafeh is an excellent portion, served at the dream temperature. The perfect dessert to warm the cockles of your heart as the temperature begins to drop. Shisha Bar is a fabulous place to a late night bite ‘n drink with friends. They have an extensive breakfast menu (that’s available until 2pm weekends!) which I look forward to trying.